A week after U.S. Attorney General Jeff Sessions told federal prosecutors to “charge and pursue the most serious, readily provable offense” and follow mandatory minimum sentencing guidelines, a bipartisan group of prosecutors at the state and local level is expressing concern. Thirty current and former state and local prosecutors have signed an open letter, which was released Friday by the nonprofit Fair and Just Prosecution. 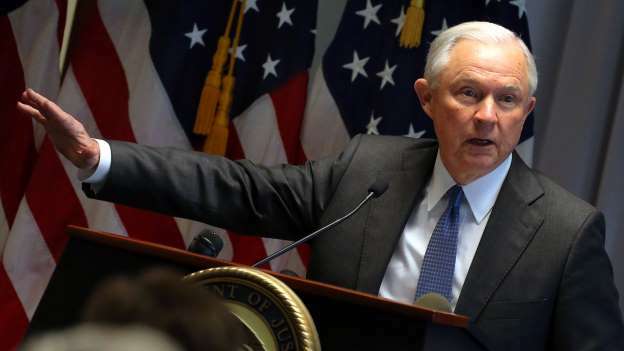 The prosecutors say that even though they do not have to answer Sessions’s call, the U.S. Attorney General’s directive “marks an unnecessary and unfortunate return to past ‘tough on crime’ practices” that will do more harm than good in their communities. “What you’re seeing in this letter is a different wind of change that’s blowing through the criminal justice field,” said Miriam Krinsky, a former federal prosecutor and executive director of Fair and Just Prosecution, a national network working with newly elected prosecutors. Signers of the letter include Los Angeles City Attorney Mike Feuer, Manhattan District Attorney Cyrus R. Vance Jr., and Karl Racine, attorney general of the District of Columbia.